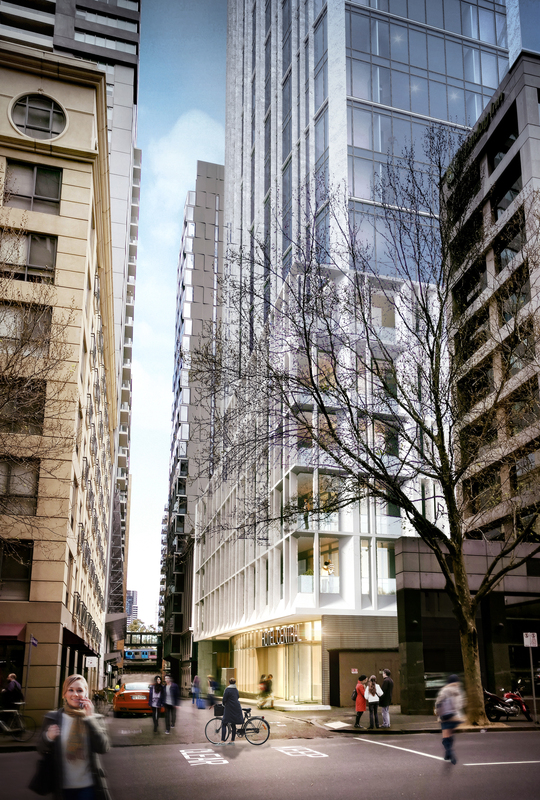 HYATT CENTRIC MELBOURNE ON DOWNIE ST.
CHICAGO, 2018-May-08 — /Travel PR News/ — Hyatt Hotels Corporation (NYSE: H) announced today that a Hyatt affiliate has entered into a management agreement with Little Projects for a Hyatt Centric hotel in Melbourne, Australia. Hyatt Centric Melbourne will boast a prime location on Downie Street, providing a launch pad for guests looking to explore everything Melbourne has to offer. The hotel will also join 20 Hyatt Centric brand hotels worldwide and soon-to-open hotels in Santiago, Chile and Lima, Peru. Located minutes from the city’s Docklands and Southbank precincts, home to key entertainment and sporting venues, guests will also be in close proximity to the Melbourne Convention & Exhibition Center and the Crown Entertainment Complex. The expansions and continued development of the Melbourne Convention & Exhibition Center, Etihad Stadium, and the Docklands office precincts are expected to further attract local and international travelers alike. Slated to open in 2020, the hotel will feature 280 guestrooms and suites, a restaurant infused with locally inspired fare and a rooftop bar fit for celebration, featuring hand-crafted signature cocktails and spectacular views of Melbourne’s Yarra River and Southbank. Demonstrating strong growth for the Hyatt Centric brand, the announcement of plans for the new Hyatt Centric Melbourne follows the recent announcement of plans for Hyatt Centric Hobart, Australia and the opening of Hyatt Centric Ginza Tokyo earlier this year. The hotel will further enhance Hyatt’s brand presence in Australia’s second-most populous city as a great addition to Park Hyatt Melbourne, Grand Hyatt Melbourne, and Hyatt Place Essendon Fields. For more information, please visit hyattcentric.com. Hyatt Hotels Corporation, headquartered in Chicago, is a leading global hospitality company with a portfolio of 14 premier brands. As of December 31, 2017, the Company’s portfolio included more than 700 properties in more than 50 countries across six continents. The Company’s purpose to care for people so they can be their best informs its business decisions and growth strategy and is intended to attract and retain top colleagues, build relationships with guests and create value for shareholders. The Company’s subsidiaries develop, own, operate, manage, franchise, license or provide services to hotels, resorts, branded residences, vacation ownership properties, and fitness and spa locations, including under the Park Hyatt®, Miraval®, Grand Hyatt®, Hyatt Regency®, Hyatt®, Andaz®, Hyatt Centric®, The Unbound Collection by Hyatt®, Hyatt Place®, Hyatt House®, Hyatt Ziva™, Hyatt Zilara™, Hyatt Residence Club® and exhale® brand names. For more information about Hyatt Hotels Corporation, please visit www.hyatt.com. This entry was posted in Hospitality, Hotels, Travel, Travel Management, Travel Services, Travelers and tagged David Udell, Hyatt Centric Melbourne, hyatt hotels, Little Projects. Bookmark the permalink.